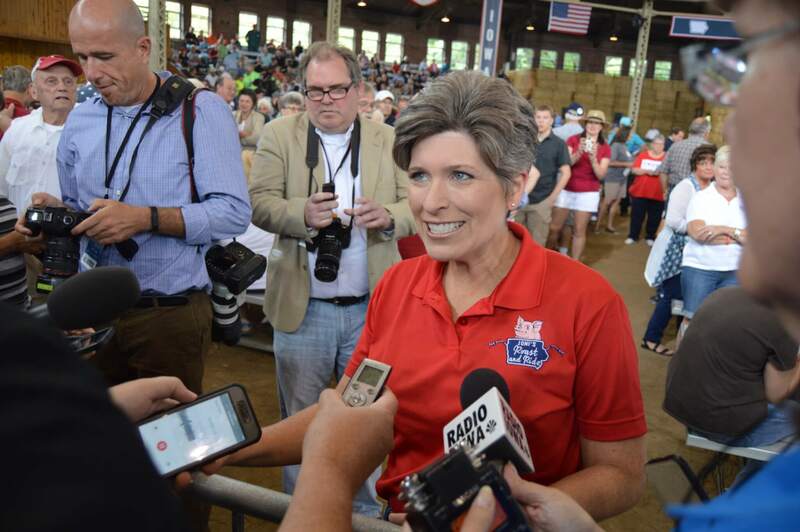 Who Will Run Against Joni Ernst In 2020? The postmortems of the 2018 election are still being written, but that’s not stopping anyone from speculating and planning for Iowa’s 2020 Senate race. That’s actually typically what happens immediately after any election – winners plot out their next longterm moves and losers consider if they still have the fire in them to make another run. Senator Joni Ernst will be a difficult incumbent to beat, but there’s some reasons for hope. Iowa voters seemed much more upset at national politics than they were at state politics this year, electing Kim Reynolds while also sending Abby Finkenauer and Cindy Axne to be part of a new Democratic House majority. That national frustration could continue into 2020, and Ernst has happily positioned herself as far to the right as possible. Now she’s seeking a leadership position in the Senate Republican caucus, ensuring she’ll toe the party line even more. Will the party’s old guard ride in on its white horse once again to save the rest of us mere mortals from ourselves? The chattering class has been chattering up a storm the past several days about a potential Vilsack run against Ernst. Whether that’s coming directly from the former governor himself is unclear. Vilsack remains one of the most popular figures in Iowa politics, with extremely high ratings among Democrats based on polling from this past cycle. He won 49 Iowa counties in his first race in 1998 and 68 of them in 2002. Democrats long for the days where they could actually be competitive again in rural Iowa, and the former Secretary of Agriculture for Barack Obama might be the perfect person to do just that. In the days after the election, Vilsack was quoted twice in the New York Times about Democrats’ problems. He was frustrated with Democrats’ lack of message for rural America, and suggested that the country wasn’t looking for a “rock star” for president, downplaying Beto O’Rourke’s potential run. Vilsack would start with a great national fundraising network. A run by him would probably clear the field of any of the more traditional Democratic contenders, but that doesn’t mean he’d be totally unopposed. A proven winner, his run would turn Iowa into one of Democrats’ top pick-up targets in the country. But how would a general election matchup actually play out? 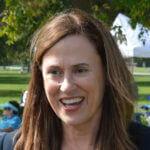 An older, mild-mannered, policy-focused Democrat up against a dynamic female Republican incumbent. Why does that sound so familiar? Republicans are absolutely convinced that newly-elected State Auditor Rob Sand will turn around and quickly run for higher office. The reality may be a bit different. Sand was one of Democrats’ bright spots on election night, a clear rising star in the party that was the only statewide victory by a challenger. He ran four points ahead of Fred Hubbell, defeating Mary Mosiman 51% to 47%. His $1.7 million raised was a record for the office. Sand now stands to be the only real check on full-Republican control of Iowa government, holding subpoena power on controversial issues like the state’s privatized Medicaid system. 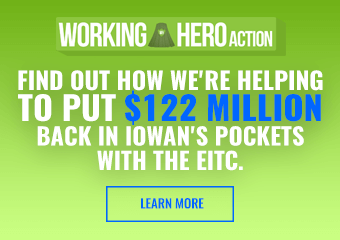 He also won 25 of Iowa’s 99 counties, carrying several rural counties in Central Iowa and doing far better in the blue-collar cities along the Mississippi River. A bow-hunter who highlighted his hobby on the campaign trail often, Sand seemed to understand better than most the need to connect with rural voters on a personal level first. But Sand has plenty of options ahead for him. There will likely be an open senate seat in 2022 when Chuck Grassley finally retires, in theory an easier race. He’d also be one of the party’s stronger gubernatorial options that year as well. Either way, top leaders in both parties see him as the future of the Democratic Party in Iowa. What’s next for the man who nearly took down Steve King? Coming within a mere three points of a win, Scholten’s narrow loss was still an incredible achievement. Most importantly, Scholten over-performed Fred Hubbell’s margin in the 4th District by 18 points, garnering 25,265 more votes than the Democratic gubernatorial nominee. Much of that was obviously due to King imploding down the stretch, but Scholten’s extensive retail politicking and good ads helped him capitalize and nearly pull off the upset. Democrats across the board were extremely impressed with the former baseball player’s candidacy. 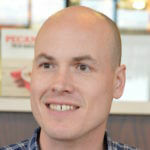 Although a first-time candidate, Scholten’s political intuition was solid with his emphasis on stumping in small towns in his RV and putting together unique-looking campaign ads that weren’t bogged down with bland, poll-tested talk. He ran a campaign outside the cookie-cutter, best-practices malaise that dooms so many Democrats, and he did it well. 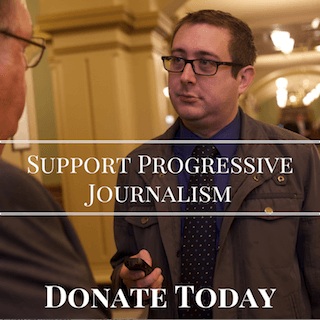 By far the biggest advantage Scholten would bring is his ability to raise money online. He brought in over a million dollars in the final week as the King controversies exploded. He still has all those emails and contact information. 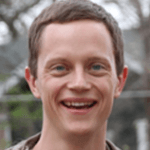 And Scholten is also the type of candidate who can excite and motivate the online activist crowd; King’s actions brought the attention, but Scholten also closed the deal with his candidacy and personal narrative. Democrats around the country are pretty familiar with Joni Ernst and could turn their anger toward her into small-dollar donations as well. Essentially, Scholten would have to recreate some of the aura that Beto O’Rourke had in his Texas Senate run. His pitch to Democrats could be that he wouldn’t have to spend all his time in a call room dialing for dollars or making fundraising trips to the coasts, as many of the other people on this list would do. Instead, he could hit the road again and do what he did best this year: being the Democrat who showed up in rural voters’ small towns. The former 3rd Congressional District candidate had an abrupt ending to her run earlier this year, but Theresa Greenfield remains a compelling contender for higher office. Raised in rural Minnesota, she overcame personal tragedy and raised children on her own while educating herself and working her way up to running a company. That’s a great profile that could match up well against Ernst. As the 2018 election showed, it might take a woman to defeat an incumbent woman in high-profile races, a surprise (and nice) reversal from Iowa’s past voting trends on female candidates. Greenfield proved herself a strong fundraiser in her congressional run and would likely start with a lot of union support, depending on who the other candidates are. Some worry that the signature snafu would be used against her in another run, but it probably wouldn’t come up much outside one or two news cycles and maybe a line in a debate. Republicans will always find other issues that poll better to attack Democrats on. 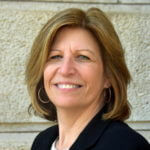 Democrats lauded Fred Hubbell’s selection of Rita Hart for his running mate, believing the farmer from Big Rock could help the party make inroads into rural Iowa. That didn’t happen, but it didn’t feel like Hart’s full potential was used during the campaign. There was not a single Hubbell TV ad that featured Hart, an odd choice given their final margins in rural counties. Hart may still have an important role to serve for Iowa Democrats, and she’d probably get a strong fundraising boost from the Hubbell network if she ran. 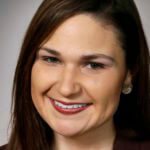 A young state representative with two terms under her belt in the Iowa House, Abby Finkenauer faced some internal skepticism in the party when she first launched her congressional run. She silenced all those critics with a decisive win over Rod Blum, making history in the process. Her national profile will likely only rise once she gets to D.C., serving as the second-youngest woman ever elected to Congress. Finkenauer might be the state party’s best new messenger for working-class communities; doing better in the blue-collar Mississippi River counties is essential for a Democratic statewide win. Still, immediately transitioning to a Senate run might be too abrupt a decision. Like Sand, she has a long future ahead of her in Iowa politics, and can wait to pick and choose the right opportunities. Here’s a sneaky pick that might make a lot of sense. Although Amber Gustafson would be in a much better position had she won on Tuesday, her narrow loss to Senate Majority Leader Jack Whitver showed she was a compelling, tough candidate. There was a lot of excitement around her from Democratic activists and she raised a lot of money for a state legislative candidate. But here’s what makes Gustafson intriguing: she’d be a candidate who could go toe-to-toe with Joni Ernst on the senator’s best strengths. Gustafson was raised on a farm, but her family lost it in the farm crisis of the 1980s, eventually leading to her father’s death. She’s a former Republican and gun-owner who became a gun-safety advocate after the Sandy Hook shooting. She could match Ernst on rural roots, challenge her on guns more credibly than any other Democrat and could best her on crossover appeal in the suburbs. 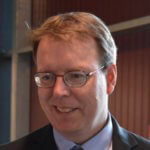 Even after coming up short in his primary with Patty Judge in 2016, Senator Rob Hogg didn’t stop traveling the state extensively to help fellow Democrats. He’s been one of the party’s most visible leaders out at local Democratic events for over four years now, building up a lot of good will and favors from activists. Hogg still seems interested in higher office, and he’d start out with some grassroots support for a left-leaning bid. However, losing to Judge in 2016 and getting ousted as minority leader by his fellow senators not even a year into the job probably won’t inspire much confidence from major donors. A Cedar Rapids attorney, he’d also have to prove he’s the answer to the party’s problems outside the major urban areas. There’s some other rising stars out there who will likely get mentioned and could be good possibilities. Stacey Walker is building a name for himself out in Eastern Iowa. Zach Wahls is primed to be a major leader in the party, but he too can wait for the right chance [Edit: I forgot, Wahls is still too young to be constitutionally eligible for the U.S. Senate]. Starting Line will keep tossing out Brigadier General Steve Warnstadt‘s name. People will continue to mention Liz Mathis, and Liz Mathis will continue to pass on opportunities. Cindy Axne clearly proved herself to be one of Iowa Democrats’ most formidable candidates ever with her win over David Young. She’d be a strong candidate, but she’s already pledged to visit all 16 counties in the 3rd District every month, and that seems like where she wants to stay at the moment. 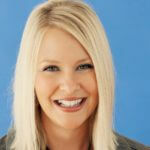 Should Cathy Glasson be on this list? Or is she considered too pro-labor (hurray for her!) to run strong in rural areas? And some are saying that John Norris could’ve drawn enough rural votes to have won the recent race. How could you leave out Dave Loebsack. He is the most experienced federal elected official we have. I had to re-read your blog to see if you had really missed him since he is so obvious. Maybe because he’s never shown any interest in such a thing…? Who among the others aside from Rob Hogg have? It would wonderful to have a strong, liberal Democrat woman to counter Ernst’s RWNJ bona fides. I don’t think that MoR candidates are gonna cut it against our Junior Senator come 2020. The more important consideration, in my opinion will be how badly the farmers are hammered by Trump’s tariffs. 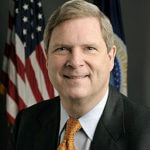 I think a former U.S. Secretary of Agriculture, Tom Vilsack, could beat an inexperienced politician who sided with a losing strategy and has aligned herself to a president, who lacks the depth of knowledge that Secretary Vilsack has. Don’t be surprised if we have 2 senate seats in ’20. At Grassley’s age anything is possible. I would rather have Vilsack focus on Ernst while we can prep the next generation for the Grassley seat whenever it comes up. 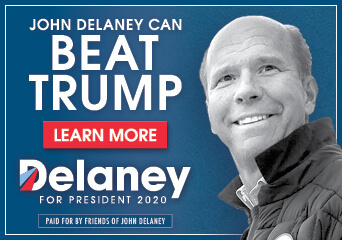 I am not a fan of a losing candidate trying to make that into a promotion. It shows you might have retail magic (but you loss) and we have no idea how you would actually do the job. If you are sure of yourself, take a second shot at the seat you lost.